Bringing contemporary design in to your home in a range of easy to coordinate colourways, the Prismatic Rug collection by Nourison is a modern classic. The bold confidence of the pattern makes it a great choice for many styles of space. They can be enjoyed in a choice of different colourways and each time they add a defined focus to your space. The colourways and modern and vivid but can be worked into rooms of different styles. 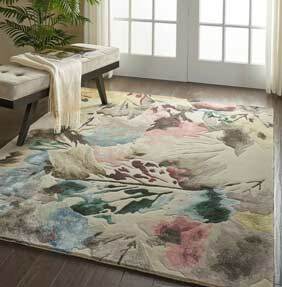 Each Prismatic Rug is made from exquisite high quality wool and viscose, a choice of different sizes are available.